ChiIL Mama : Big Kindie Weekend: Poochamungas at Building Blocks Toy Store and Dreamtree Shakers at Beat Kitchen! Big Kindie Weekend: Poochamungas at Building Blocks Toy Store and Dreamtree Shakers at Beat Kitchen! ChiIL Mama's stoked to be sponsoring TWO rockin' kindie music events this weekend. The best news is, Boogie With Building Blocks is Saturday from 10am-2pm and Dreamtree Shakers are Sunday at noon at Beat Kitchen, so you can do BOTH! 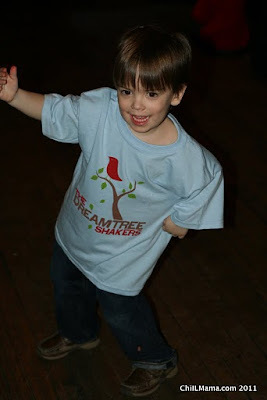 Congrats to our Dreamtree Shakers family 4 pack ticket winner this week, Amy Jo W. and her sons, Easton and Flynn. Your name will be on the guest list at the door. If you haven't experienced The Dreamtree Shakers live shows yet, you should! They are one of our favorites and a big hit with kids of all ages and adults. They add masks, pagentry and mystery to their shows and bring the characters out into the audience, to involve the kids. Tickets are just $6.00. All ages welcome. 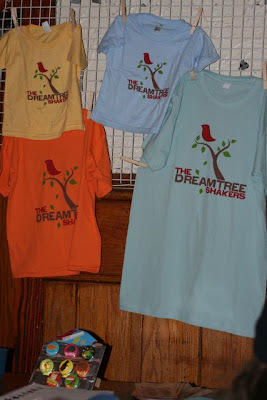 Check out ChiIL Mama's interview with The Dreamtree Shaker's right here. We caught up with them at Schubas at baby Elvis' first concert in late March. It's too soon to tell if he'll be a Costello, a Presley, or a unique Elvis for the new millennium. He's still more of a velvet Elvis at this point--all soft an fuzzy. With a band dad and a mom who works for Chirp Radio, one thing's for sure. He'll be exposed to a lotta great music! Lucky kid. Bring your own lucky kids out this weekend and give them the benefit of some awesome music and more. We've been promoting Boogie With Building Blocks for months and the time is finally here to celebrate 15 years of Building Blocks Toy Stores, and Katherine, the Chicago Mama and toy shop keeper, we all depend on for the coolest toys. Boogie With Building Blocks And Our Friends! Elmo, balloons, face painting, prize wheel, temporary tattoo fun, gift bags*, and musical entertainment by the Poochamungas. All Alex Toys will be buy 2, get a 3rd item of equal of lesser value free! This band is full of Chicago firemen, local parents, and award winning musicians. Check 'em out, for a dog gone fun time! Here's ChiIL Mama's video of them playing Mommy's Song LIVE at Beat Kitchen. *Gift bags will include Alex goodies and a raffle entry to win terrific prizes, including a 6-FOOT GIANT UGLYDOLL ($600 value)! 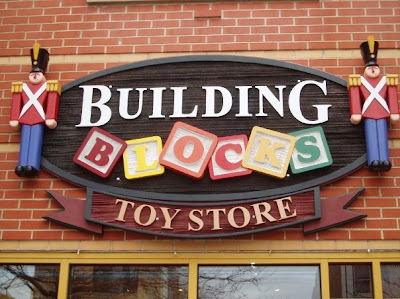 To celebrate their 15th Anniversary, Building Blocks Toy Store is having a great big party with all kinds of fun planned. 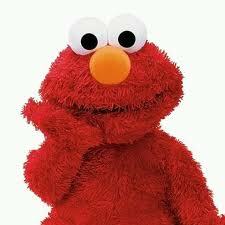 Elmo will be on site to pose for photos and greet his fans. Balloons, temporary tattoo applications, facepainting, and musical entertainment by the Poochamungas. We'll have raffles for all kinds of fun prizes and giveaway bags for attendees including hot off the presses ChiIL Mama buttons for everyone. ChiIL Mama hooked up the entertainment and donated two big CD baskets worth $56 and $65 respectively. Our local "Windy Kindie" basket will be given away to one lucky winner on Saturday during Boogie With Building Blocks. **Stop in at either the Lakeview or Wicker Park Building Blocks Toys shops for the Poochamungas CD "Mud, Mommies, and Mayhem" for only $5. It's a limited-time promotion until event day.